Home » Jewelry By Occasions » Stylish and Affordable Belly Rings Clearance Sale! Belly piercing which was once an ancient custom in many countries especially belly rings. Among women has now made a style statement with numerous designs. These are huge quantities to deliver worldwide. These bulk jelly rings for girls are made of high-grade UV materials with red color mixed. They are hygienic and do not cause allergies or itchiness to the human skin. These bulk belly rings glow in the dark with illuminating red glow and they are available in sizes from 3mm to 8mm. They are in the shape of a circular ring with detachable segments. And hence these segment rings are popular among the fashion industry and women have worn them almost during all occasions because it’s really a crowd pleaser. 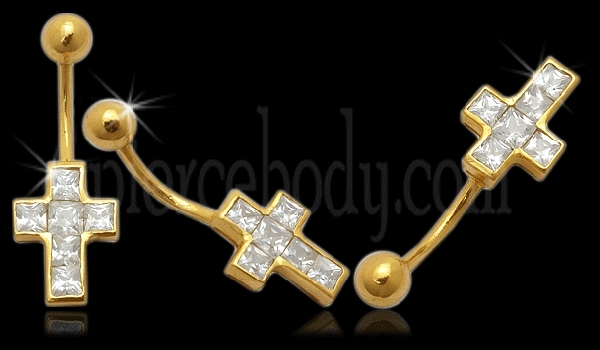 Body piercing in fast gaining popularity among the youth these days, and if fashion experts are to be believed, this is one trend which is here to stay for a long time. For many, body piercing is a way of celebrating their body. It’s most often advisable to use body jewelry in silver as it is not harmful to your skin. This day belly rings like surgical steel belly button rings are available in various shapes and sizes and cuts. However, it’s the dangling silver belly rings that are in huge demand lately. They are not have well design but are available with stones encrusted in different colors to even match your outfits. It’s the start of the year but we’re offering belly rings clearance from our wholesale body jewelry. Our body piercing jewelry store will provide the new body jewelry in this week! 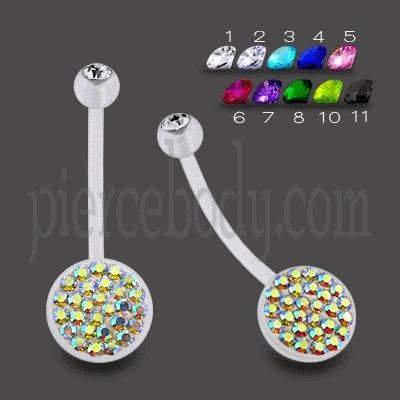 This belly rings surgical steel belly bar which they are offering are different belly ring with UV belly banana. Assorted Bio flex with 925 silver gold plating base with logo balls and different crystal steel ear stud stone dangle belly button rings. They also come in clear barbell Bio flex fancy base with laminated logo; belly UV assorted Ying Yang crystal stone belly ring SS multi stone ball, as well as belly rings with glow balls.